BJP national president Amit Shah said on Thursday that his party was in a good position in Bihar, ahead of this year's assembly elections, since it had forced erstwhile political rivals like Nitish Kumar and Lalu Prasad to join hands to take on the BJP. "I believe that our (BJP) position is good. Therefore, those who were working against each other for the last 25 years are on one platform now. "For 25 years, Nitishji and Laluji were doing politics against each other. 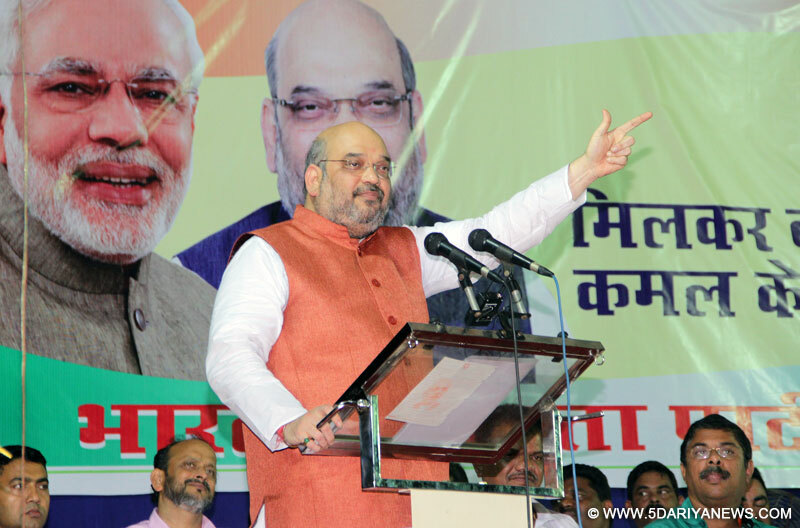 Because the BJP is strong, they have no other option but to come together," Shah remarked at a press conference, held here as part of the first anniversary celebrations of the National Democratic Alliance government at the Centre.Earlier this year, leaders of political parties -- all constituents of the erstwhile Janata Dal -- like the Janata Dal (United), Janata Dal (Secular), Rashtriya Janata Dal and Samajwadi Party had announced a possible merger ahead of the crucial Bihar polls -- ostensibly to take on the Bharatiya Janata Party.